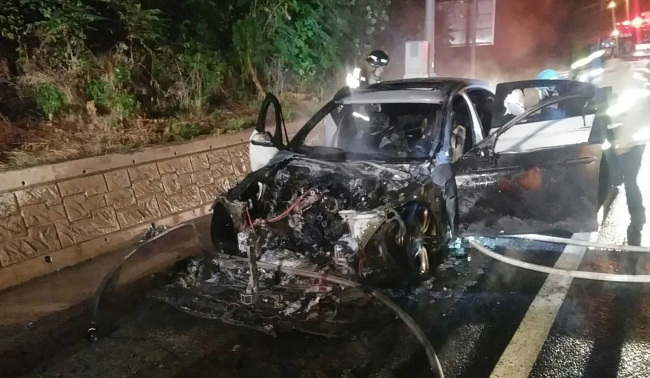 The South Korean government ordered BMW vehicles subject to recall off the roads if they have not gone through an emergency checkup after dozens of cars burst into flames this year. 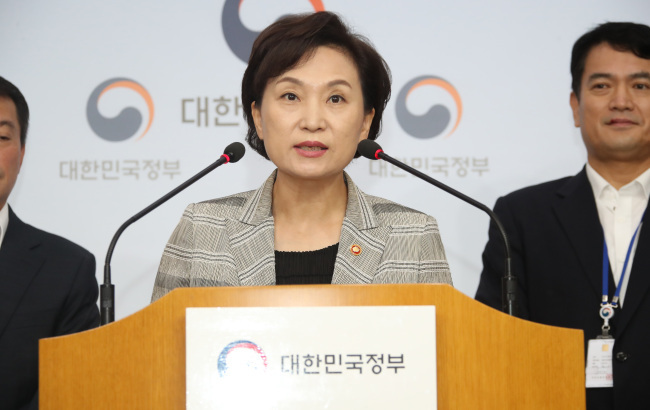 In a nationally televised address, Transport Minister Kim Hyun-mee urged the head of municipalities to issue administrative orders to stop BMW drivers from using their vehicles, stressing escalating public safety issues related to the German cars. This is the first case of the government banning the operations of a specific model of car. Such administrative orders would have to be made for each individual car concerned. They take effect immediately after a letter to the owner of the vehicle is delivered. The owners should go through safety checks and are banned from driving the vehicles if not for the purpose of inspections, she said. The Transport Ministry holds no power to force drivers to stop operating their vehicles, but head of local governments have the right to do so, if there is a public safety reason. Drivers will face punishment if they are found to have driven an unchecked vehicle, and be subject to a legal liability if a fire breaks out whilst driving the banned vehicle, according to the ministry. BMW Korea said it would comply with the government’s decision and minimize customers’ inconvenience by securing rental cars. The company has secured about 14,000 rented cars so far, but they might not be needed, as the safety checks could be completed within this week, an official said, adding it is conducting inspections of around 7,000 vehicles a day. Last month, BMW Korea said it will voluntarily recall a total of 106,317 vehicles starting Aug. 15 and conduct emergency safety checks by operating its resources 24 hours a day for two weeks. But a quarter of recalled vehicles remain uninspected and the incidents of BMW vehicles catching fire continued. So far, a total of 39 BMW vehicles, including those not included on the recall list, caught fire this year, mostly within recent weeks. BMW said an exhaust gas recirculation module, a part needed for diesel exhaust system, was the center of the problem, refuting allegations that it manipulated control system. The transport minister on Tuesday also urged BMW to provide “responsible and clear answers” to suspicions of the German carmaker covering up the problem. Some customers and local experts have sought criminal charges against BMW executives, claiming that they have concealed the existence of the faulty parts even though they were aware of the problem. BMW is the second-largest importer here, after its German rival Mercedes-Benz.